The value of goods carried by airlines is expected to exceed $6.2 trillion in 2018, representing more than 35% of global trade by value, according to the International Air Transport Association (IATA). That’s a big change from just a decade ago, when air cargo was slow as the global economy went through a downturn. Flying freighters were parked and orders for new cargo planes slowed dramatically. The reason for the turnaround? It shouldn’t be much a surprise, if you’ve bought something online. “The market is very, very good. The major driver of that is e-commerce. As long as e-commerce becomes a greater and greater proportion of retail sales, there will be the demand for the [cargo] lift.” said Mark Diamond, a principal with ICF’s aviation consulting practice, who leads the company’s global air cargo consulting activities. “All of sudden, there’s a big uptick in demand for freighters and conversions. You’ve seen Amazon effectively starting up its own airline to carry its own product. They’re grabbing 767 passenger aircraft wherever they can find them on the market and putting them into [cargo] conversions,” Diamond said in an interview. There’s also rising demand for high-value cargo, such as pharmaceuticals, live animals, aerospace components and auto parts, like those recently carried by Delta Air Lines from Atlanta to Johannesburg, South Africa. In addition to its usual passenger load on the July 10th flight from ATL to JNB, the Boeing 777 was carrying critical parts from a BMW plant in South Carolina to the company’s X5 SUV assembly line in South Africa. Delta set a record on that flight: Its highest single-flight cargo revenue, $254,000, accounting for 40% of the total revenue from the flight. That’s a huge difference compared with the 9% average of airline revenues that air cargo represents, according to IATA. For now, things are good, and Air Canada is another example of just how good. Like Delta, Air Canada doesn’t have any dedicated cargo aircraft: It makes all its cargo money from transporting freight in the holds of its passenger jets. The vast cargo capacity of today’s large jets — the Boeing 777-300ER can carry more than 20 metric tons (44,000 lbs) in the holds in addition to a full load of 400 passengers — can make the difference between profit and loss on a route. So airline planners carefully research the freight potential of different markets as they develop fleet acquisition, deployment and scheduling strategies. But where a passenger airline has a limited frequency of flights, customers may look to a cargo airline that flies dedicated freighters. “Increasingly we’re seeing freighters being used where the shipper requires the reliability and certainty that a freighter can offer. Freighters also exist to handle special needs, such as oversized cargo that’s too big to be accommodated in the belly,” Diamond said. 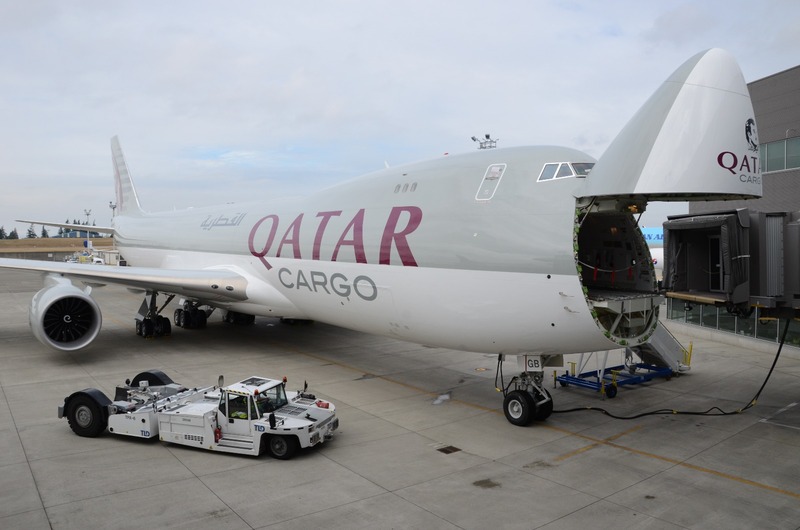 That increase in demand for freighters was on display at this year’s Farnborough Air Show, where Boeing recorded new orders for more than 40 777F freighters from cargo airlines DHL Express, Volga-Dnepr Group and CargoLogicHolding. Russia’s Volga-Dnepr also ordered five 747-8F freighters, the biggest civilian cargo jets currently in production. More than half of the world’s cargo volume is carried in dedicated freighters, according to Boeing’s 2016-2017 World Air Cargo Forecast. Virtually all North American passenger airlines stopped using freighters years ago, with only a handful still flying for Alaska Airlines and carriers serving Canada’s North. And while other international airlines are reducing the number of freighters in their fleets, some other carriers need a balance of belly capacity and freighters to handle cargo demand. Ethiopian Airlines has Boeing 777s and 787s and Airbus A350s in its long-range passenger fleet, but also operates six 777Fs. Those freighters must be the sweetest-smelling 777s in the world, since they serve the cut-flower industry, flying blooms from Africa to international flower distribution hubs like Amsterdam. “The cut-flower industry is entirely dependent on getting to market quickly, so it’s entirely dependent on air cargo. There are markets where the passenger lift may be insufficient for the cargo demand, and that’s where you need freighters. Ethiopian simply needed the capacity of freighters to handle that market,” Diamond said. Having airborne capacity isn’t enough, though, if the infrastructure at an airport can’t handle the influx of belly cargo and freighters’ payloads. Just as with overcrowded passenger terminals, airports have to ensure that there’s sufficient cargo processing capability, and seemingly simple things like ramp space for freighters. Even parking for trucks can become an issue. “I work for one of the major hubs in the US, and they have big issues with truck congestion on the land side of the cargo terminal,” Diamond said. However, if a pilot needs to carry more contingency fuel, or if a plane is otherwise payload-restricted on a flight, it isn’t the passengers’ bags that will be offloaded — it’s the cargo. Just as when passengers need to be rebooked on a later flight, rescheduling cargo is easier on the important trade lanes that have lot of flights, such as between Europe and Asia, or Asia and North America. But unlike passengers, air freight doesn’t mind if it ends up at an airport a bit of a distance from its intended destination and has to make the final leg on a truck.